Enjoy a calming mile long loop walk or run around the grounds of the Ayr Mount historic site on the ‘Poets Walk’ trail. Then, scout out a grassy field and bring out the frisbee or a football for a game with a friend or three. Walk up to the back patio of the home, grab a seat, close your eyes and image yourself in Old World Scotland, for which the property is named. The public is welcome to enjoy the scenic beauty of this land at any time of the year with its gently rolling lawns, serene riverside lookouts, and interesting variety of mature trees, plants, and wildlife. Grab a salad, sandwich, or hot lunch to-go and you can eat it once you get to the park- if you can wait that long! Occoneechee Mountain State Natural Area offers a quick escape into nature with its three miles of trail exploring riverside forests, bluffs reaching to the highest point in the area and mountain laurel and rhododendron thickets. Visitors can also fish in a pair of quiet ponds for bass and panfish or in the Eno River, either from the bank or by wading its shallows. Park at the Eno River Deck and take a walk along the Eno River on the appropriately named ‘Riverwalk’ trail. 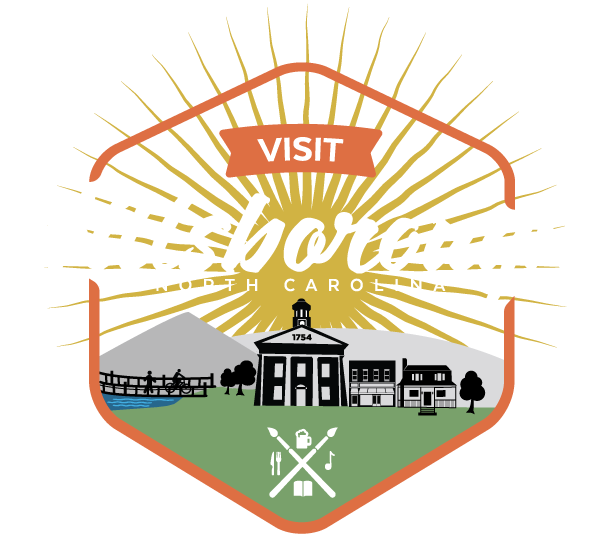 This 1 mile trail will take you to Gold Park where you can take a break and swing or play and then wander down to the shops, bars, and restaurants of West Hillsborough. Nash Street Tavern- Offering a full array of both spirits and non-spirituous concoctions. Also featuring outdoor seating options. Hillsborough BBQ– Offering a full array of both spirits and non-spirituous concoctions. Also has some of the best smoked meats and down home sides in Town. Outdoor seating available out front. Paws at the Corner– Have a special pooch in your life? This is a great place where you and your dog can come shop, relax, and play or enjoy our self serve doggie spa.